Alamo Colleges District (ACD) is the largest provider of higher education in South Texas. Its five independent colleges (Northeast Lakeview College, Northwest Vista College, Palo Alto College, St Philip’s College, and San Antonio College) provide two-year degrees that focus on preparing students to transfer to baccalaureate-granting institutions and workforce development programs that help build new careers and meet the needs of business; ten education and training centers that offer a wide range of education and training for the community and military; and three district support operations centers. The Alamo Colleges District service area includes Atascosa, Bandera, Bexar, Comal, Guadalupe, Kendall, Kerr, and Wilson counties. The four-year graduation rate for ACD’s students has increased 150% and is best in the state. The number of students awarded scholarships has increased from 580 to 2,175 and amount awarded from $500,000 to over $2 million since 2010. The Alamo Way creates a line-of-site from the district’s vision to each of the colleges’ classrooms through implementation of a BIG “Wildly Important Goal” (WIG) related to the number of degrees and certificates awarded. This number has doubled to 12,750 from 2013 to 2017, which is three times the state norm. ACD student satisfaction with the overall educational experience is 88.4%, more than two percentage points higher than the national norm as measured by the Community College Survey of Student Engagement (CCSSE). ACD’s Students First culture focuses on removing barriers to higher education for potential, current, and former students. The district graduation rate is first among all community college districts in the state in graduates as a percentage of full-time enrollment. Each college starts to engage students as early as middle school with high school programming. The district’s 16 Early College High School Programs provide dual-enrollment courses and a degree plan. Ninety percent of these students graduate high school with an associate’s degree. Innovative programs include College Connection to reach out to high school students and their families and provide support services for continuing enrollment, financial aid, placement, and registration. Once enrolled, AlamoADVISE connects each student with a dedicated, certified adviser to proactively ensure that skill gaps for entering students are closed and to identify resources that allow students who would otherwise drop out to continue their education. This program has a 94% effectiveness rating from students. ACD has developed course maps with top universities in the state to increase degree-transferable credits for students who desire to transfer and receive a four-year degree. The four-year graduation rate for ACD’s students has increased 150% since 2009 and is best in the state and second among the Aspen national cohort of high-performing community colleges. ACD works closely with the community of San Antonio and several surrounding counties to implement its community-engaged value and belief that education is a pathway to promote a better life and fight poverty, hunger, and homelessness. Partnerships with businesses and advisory boards have helped to create grants and scholarships that further strengthen the connection between the city and the colleges. The number of students awarded scholarships has increased from 580 to 2,175 and amount awarded from $500,000 to over $2 million since 2010. ACD has located education and training centers in the poorest neighborhoods and developed Veterans’ Centers to provide critical skills needed by businesses and to secure employment for these students. In 2017, voters supported the district’s plans for increasing cutting-edge education and training by approving a $450 million bond to improve facilities and technology. The Alamo Way: Always Inspire, Always Improve leadership philosophy has created a system-wide culture that balances alignment among all colleges, preserving the autonomy of each college to serve the needs of its community and achieve student success. Each college is independently operated with its own governance and full accreditation for a ten-year period from the Southern Association of Colleges and Schools Commission on Colleges (SACSCOC). The Alamo Way creates a line-of-site from the district’s vision to each of the colleges’ classrooms through implementation of a BIG “Wildly Important Goal” (WIG) related to the number of degrees and certificates awarded. This number has doubled to 12,750 from 2013 to 2017, which is three times the state norm and double the average of the Aspen national cohort of high-performing community colleges. ACD is one of only 11 community college districts in the nation to achieve bond rating levels of AAA from S&P and Aaa from Moody’s—the highest level available. This rating is based on the strength of financial policies focused on managing debt and evolving sources of revenue. ACD student satisfaction with the overall educational experience is 88.4%, more than two percentage points higher than the national norm as measured by the Community College Survey of Student Engagement (CCSSE). Additional CCSSE measures of student top-box satisfaction in all areas, including academic advising and counseling, transfer advising, skill lab, and tutoring, reflect continued improvement that exceeds the national norm. Engagement of faculty and staff in ACD’s autonomous structure is created by a unifying focus on student success, principal-centered leadership, and performance excellence. The “leader-in-every-seat” philosophy means that every member of the workforce has an ownership in student success, which is reinforced by ACD’s own WIGs that create a line-of-sight alignment to the single, overall, district goal (BIG WIG) of number of degrees conferred. ACD exceeds the national norm in the Personal Assessment of the College Environment (PACE) survey for workforce overall climate scores, key satisfaction and key engagement factors, and communication’s effectiveness, with two of the district colleges in the top 10% for overall climate score. To promote the availability of top 10% and top 25% comparisons across all community colleges, ACD has formed a comparative data cohort with colleges that participate in the College Excellence Program of the Aspen Institute. ACD is one of the top-performing (top 15%) community colleges invited to compete for the Aspen Prize. ACD leverages innovation, promising practices, and proof of concept as part of its commitment to student success. Two annual summits are held at each college and at the district level to share practices and initiatives that have had significant impact and may benefit other departments, colleges, or the entire Alamo Colleges District. 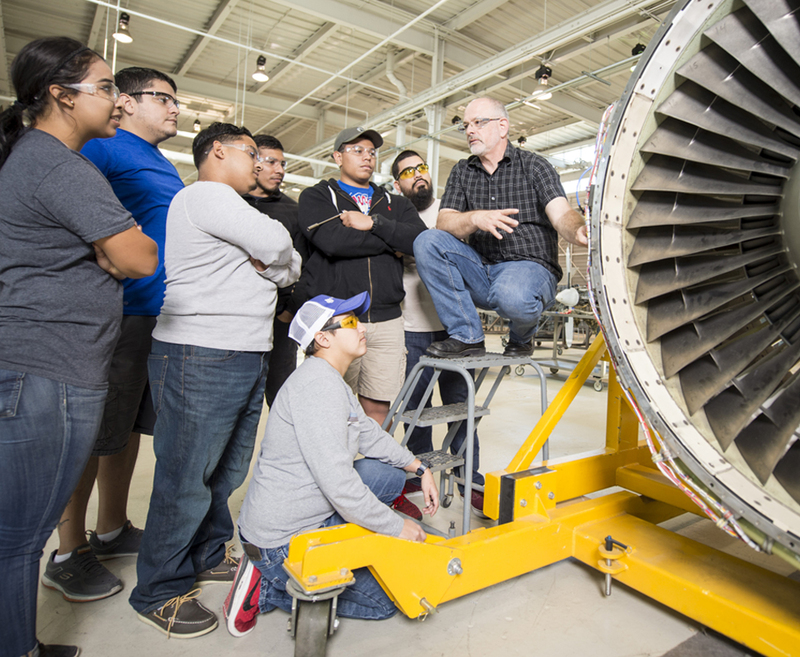 AlamoADVISE and the Early College High School Program are examples of programs created by one college and shared district-wide.